Thomas Messana, w/Messana P.A., Phil Von Kahle, (seated) court appointed conservator, executive vp/coo of Michael Moeker & Associates and Leonard Samuels with of Berger Singerman. When two closely related investment groups made a $750,000 donation to Monsignor Vincent Kelly’s Fort Lauderdale-based Kelco Foundation, they were being anything but generous, according to the latest incarnation of a tangled lawsuit playing out in Broward Circuit Court before Judge Jack Tuter. P&S Associates and S&P Associates gave hundreds of thousands of dollars to religious leaders, including the donation to Kelco and $50,000 in mortgage payments to the Rev. Richard J. Wills Jr., retired pastor at Christ Church United Methodist, the suit claims. But that money would prove more curse than blessing to South Florida congregations after attorneys said two sanctioned securities traders hid behind the facade of philanthropy to impress and lure gullible investors for swindler Bernard Madoff, perpetrator of one of the largest financial frauds in U.S. history. Messana of Messana P.A. 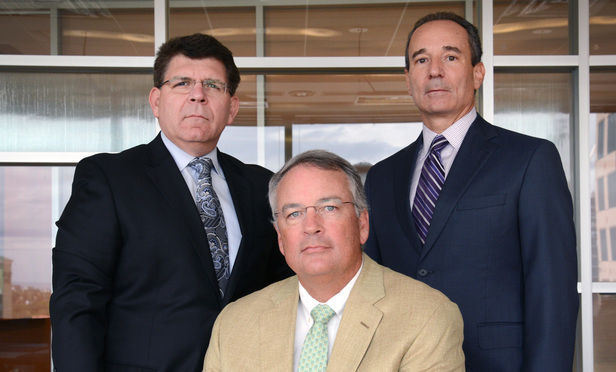 in Fort Lauderdale teamed with Berger Singerman partner Leonard Samuels to represent court-appointed conservator Philip von Kahle, executive vice president of Michael Moecker & Associates Inc. in Hollywood, who’s overseeing liquidation of P&S and S&P and investor reimbursement after the two companies failed in the wake of the 2008 Madoff scandal. The attorneys say South Florida businessmen Frank Avellino and his accounting firm partner, philanthropist Michael Bienes, were sanctioned former securities traders who used the P&S and S&P companies to continue a decades-long tradition of recruiting investors for Madoff’s defunct BLMIS fund. The Securities and Exchange Commission obtained permanent injunctions against Avellino and Bienes in 1993, barring them from unlicensed trading. In a 2009 interview, Bienes told PBS news magazine “Frontline” that he and Avellino operated a Madoff feeder fund for years starting in the late 1960s. But attorneys in the P&S suit filed in 2012 say the two never stopped recruiting investors after the SEC ban and continued to collect about $9 million from their South Florida investments. The allegations against Avellino and Bienes erupted after partners in P&S and S&P moved to recover investments paid to the companies by Irving Picard, the New York bankruptcy trustee responsible for reimbursing Madoff’s victims. Company principals have been involved in bitter litigation, and Broward Circuit Judge Jeffrey Streitfeld appointed von Kahle to serve as conservator and take control of the companies in January 2013. Von Kahle, who made the first distribution to investors in 2013 and a second in 2014, expects additional payouts as he continues to calculate investor equity and sue individuals who recouped more than their equitable share. The conservator now has his sights on Avellino and Bienes, who emerged in the litigation as businessmen who knowingly duped hundreds of investors, including S&P principal Michael Sullivan. Sullivan and his business partner, Gregory Powell, served as the companies’ managing general partners until Powell’s death in 2003 when Sullivan gained full control. Von Kahle’s suit suggests that control was an illusion, and Avellino and Bienes exerted so much control over the businesses that they rented office space on the same floor to have daily interaction with Sullivan and his affiliates. After Powell’s death, his widow, Bette Anne, and Sullivan wrestled for control of the companies. On June 18, 2013, Sullivan sought to stake his claim with a confidential letter tying P&S and S&P to him and Avellino. Bienes made more than $35 million in donations to Catholic charities and other nonprofits, like the Broward Center for the Performing Arts, the Bienes Center for the Arts at St. Thomas Aquinas High School and the Michael and Diane Bienes Comprehensive Cancer Center at Holy Cross Hospital. “Avellino and Sullivan worshiped together, and Avellino in fact participated in Bible study groups with Sullivan as a further effort to establish credibility with Sullivan,” according to the complaint. “Shortly after being shut down by the SEC, Bienes found religion and became active in the Archdiocese of Miami, where he received the Star of St. Gregory,” which recognizes personal service to the Catholic church. Attorneys for Avellino and Bienes say the suit is long on accusations but short on proof. Avellino’s attorney, Gary Woodfield of Haile Shaw & Pfaffenberger in North Palm Beach, declined comment on the allegations but said his client was preparing a response to the suit. Tuter denied a joint motion by Avellino and Bienes to dismiss the case April 27 and instead ordered them to answer the complaint within 20 days.